- Backlight LCD(helps to measure reading in bad light as well) with 6 1 digit. - CT primary can be selected up to 6000A from predefined primary current ranges. - Records energy accurately under the following Tamper conditions. - L.E. D indication is case of CT reverse connection. 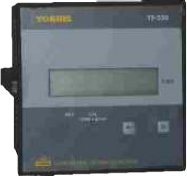 - C.T Ratio display on screen. - Self powered, no Auxiliary supply is needed separately. Standard : IEC62053 – 21/22.